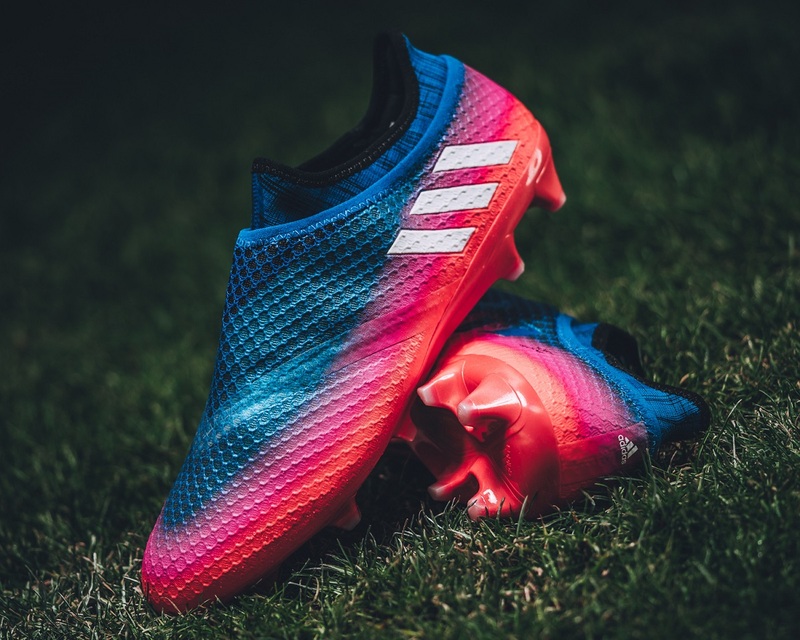 The latest colorway (not necessarily boot) to be worn by the five-time Ballon d’Or winner, Leo Messi, comes with an electrifying combo of colors. On top, the adidas MESSI16+ Pureagility feature Blast Blue with some Black undertone thrown in to create a more subtle effect. This blends into a Pink layer, and down into a Red finish across the soleplate. It is a wild look that will definitely stand out on the coldest of winter days. These join the latest Blue Blast Pack released by adidas. In terms of performance, AGILITYKNIT is the pinnacle of weight and strength and offers zero wear-in time. The PURECUT internal lacing system works in sync with the heel lining, delivering uncompromising fit and unstoppable agility. An innovative new SPRINTFRAME supplies stability and traction at the lightest possible weight, offering an improved aerodynamic finish. The reason these boots earn the agility tag lies in the soleplate and stud configuration. adidas has designed them to be very dynamic, ideal for quick cuts and turns. Exactly what you’d expect from a Messi boot. And of course they do also feature laces, even though you don’t see them in images. They tuck in under the front cover once the they are tied. Find the Blue Blast PUREAGILITY available at soccer.com.